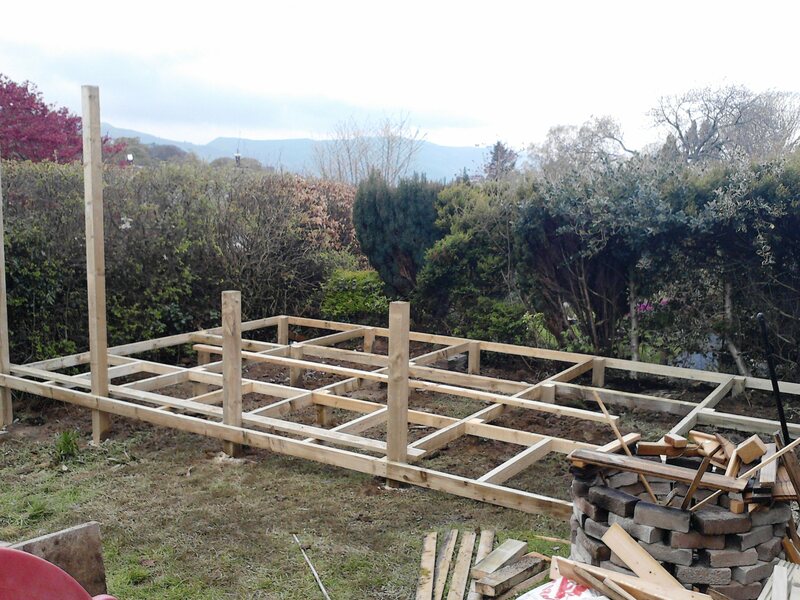 We were asked if we could build a large shed to be sited on a sloping site in the Keswick area. 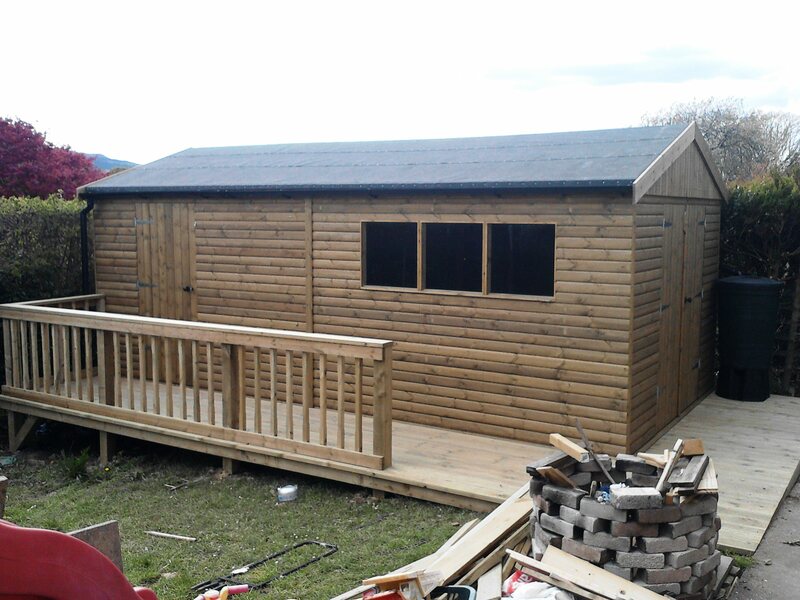 Our solution was to build the shed on a raft and provide a decked area for easy access. We made the frame for the raft and cemented the supports into the ground. 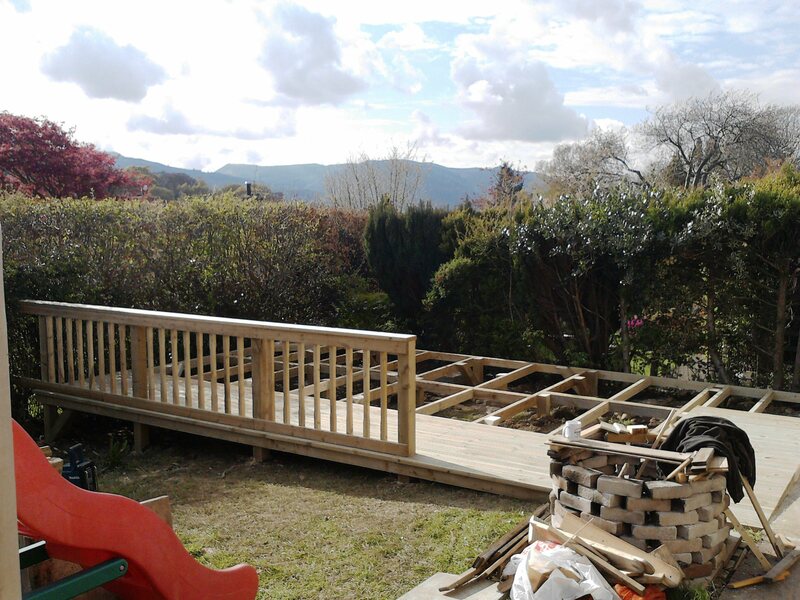 The area surrounding the shed was decked with pressure treated decking and we made sturdy handrails to finish it off. We then made a 20’ x 10’ Adam style shed to sit on the raft. The shed was partitioned inside to make two 10’ sheds. The sheds are accessed by either double doors at one end, and a single door at the other. The double doors make access easy for a ride on mower etc. The building was finished off with a hand applied coat of Light Oak stain. 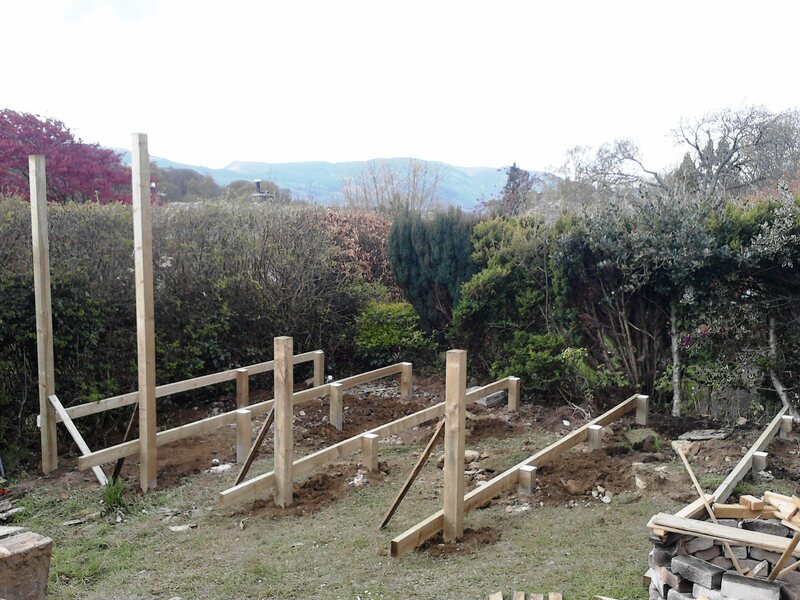 We believe we made the best out of a very troublesome site and the end result was very pleasing indeed.